Thanks for visiting our new site! Our new site and new features including a web-shop have been in development for a while now and we’re delighted to finally introduce it to our dedicated customers and visitors. Any feedback regarding our new site is greatly appreciated! 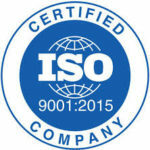 We are delighted to announce that both of our production facilities have earned their updated ISO certificate. This is testament to all of our employees hard work and dedication.